Adorable card! I love the color mix. Gorgeous card! I love the tapes and the sketch. The person who receives it is sure to LOVE it! Fantastic card, Mary Ann - I struggle with cards, as well...I tend to over-think them and get mad....grrr. I will try using a sketch! Thanks! 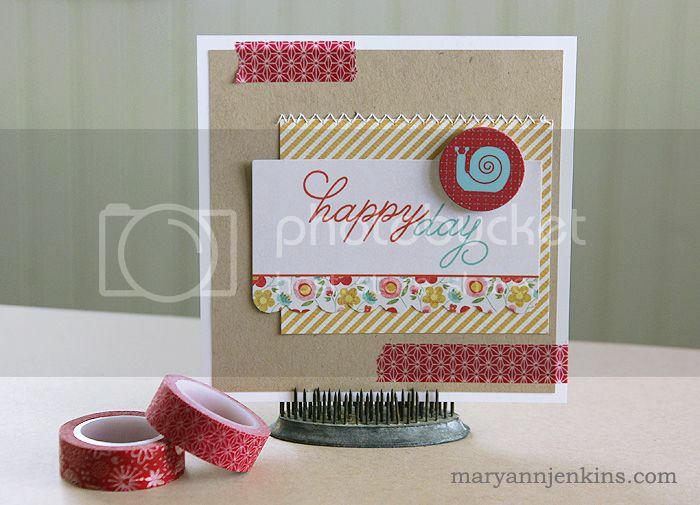 Super cute card, LOVE the colors and font! Great card! love the sketch! Very cool card, it has great freshness about it!